If you add a fill color to a line that should only have a stroke color (i.e. 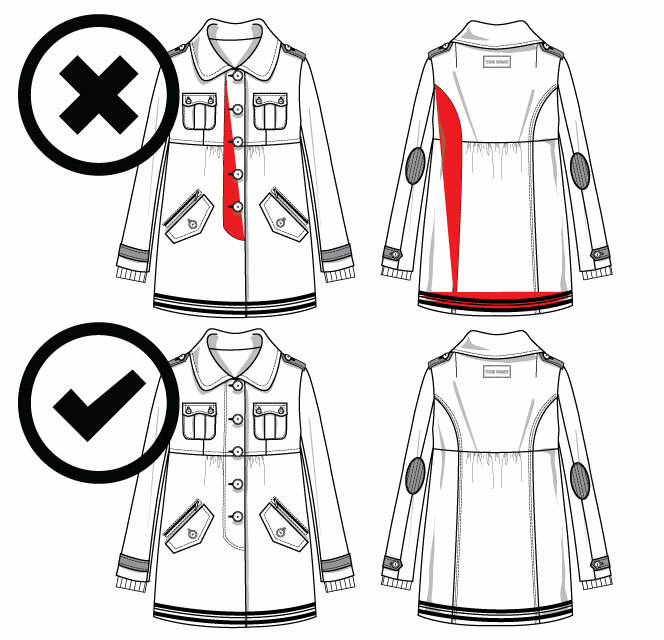 your topstitching or seam lines) what happens is your fill color may be covering up some of the other parts of your drawing (hence the “disappearing” part) and at the same time is leaving blobs of fill color that are not shapes but just the fill color “spilling” out of the line segment. In the sketch example you will see the red areas are where I added a fill color on a stroke line. Notice how the red color covers the additional topstitching. 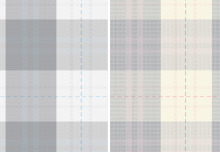 In my example is pretty obvious to see the problem, but imagine if you added a white fill color instead of red. You may not notice the mistake at first and keep sketching. Generally, I advise my students to NOT put a fill color on your topstitching and most of the time, on your other seams or darts. 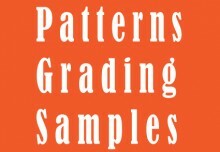 When adding color to your garments only put a fill color in areas that are shapes. 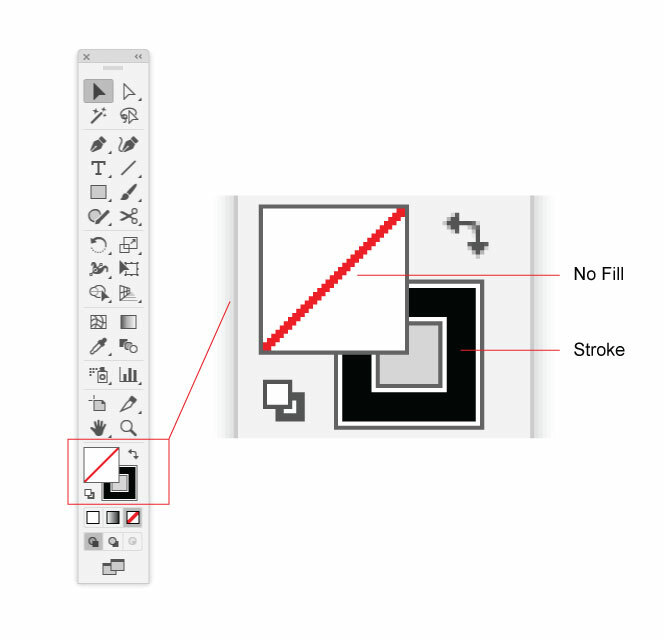 Your Fill/Stroke area on your tool bar should look like the image below.